Sources: Censuses 1841-1901. 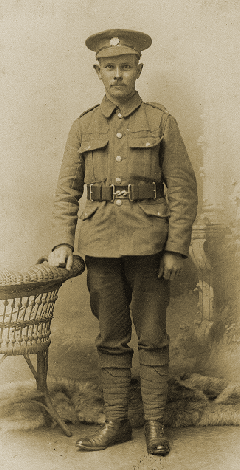 I am grateful to Chris Newell (Frederick Armstrong’s great grandson) for his memories and photographs. 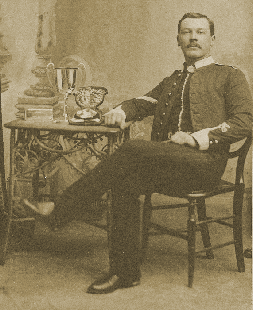 Frederick Armstrong was from farming stock. 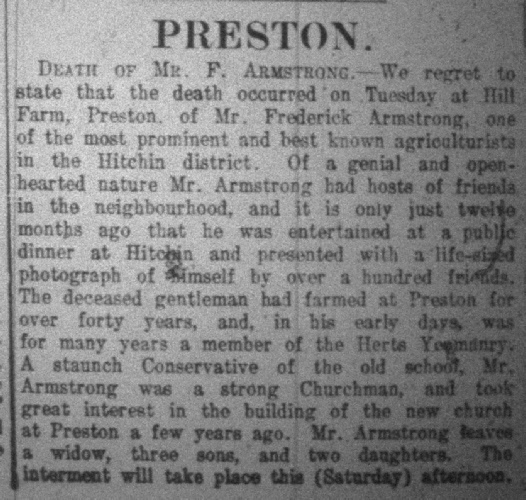 He was born in 1839 at Lower Stondon, Beds, the son of William and Phoebe Armstrong. 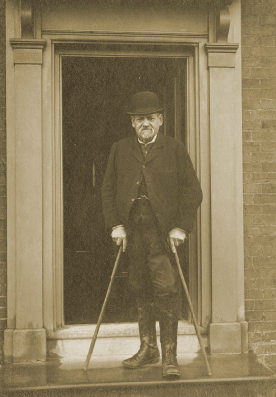 In 1871, William Armstrong kept the 232-acre Blake Farm in Great Wymondley, near Hitchin, Herts. where he employed eight men and 4 boys. On 3 December 1873, Frederick married Emma Kirkby at Ware, Herts. Although Emma was born at Hatfield Broad Oak, Essex in 1844, she was no stranger to Preston when she married as her parents, Samuel and Dorothy Kirkby, had farmed at Castle Farm, Preston since about 1850. Soon after their marriage, Frederick took over the tenancy of Preston Hill Farm in the parish of Kings Walden. 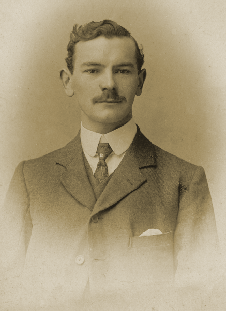 Their first son Frederick was born at Preston on 15 March 1875. They had a further 6 children. Frederick was a prime mover in the building of St Martins church at Preston. He organised a musical evening which raised £11 towards the Church Fund. 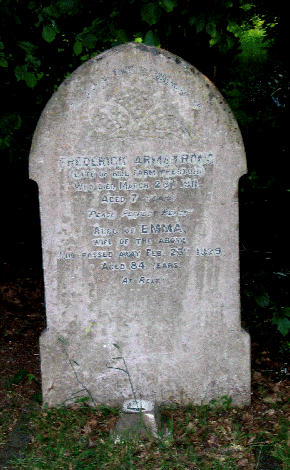 Frederick died on 28 March 1911,aged 71. His headstone reads ‘Peace Perfect Peace’. Emma died 23 February 1929, aged 84. They are buried in a double grave at St Martins churchyard, Preston. His estate was valued at £2,037 7s 0d and his executors were his sons, Thomas George and Frederick William and coach builder, Francis Ralph Wilkins Sanders.